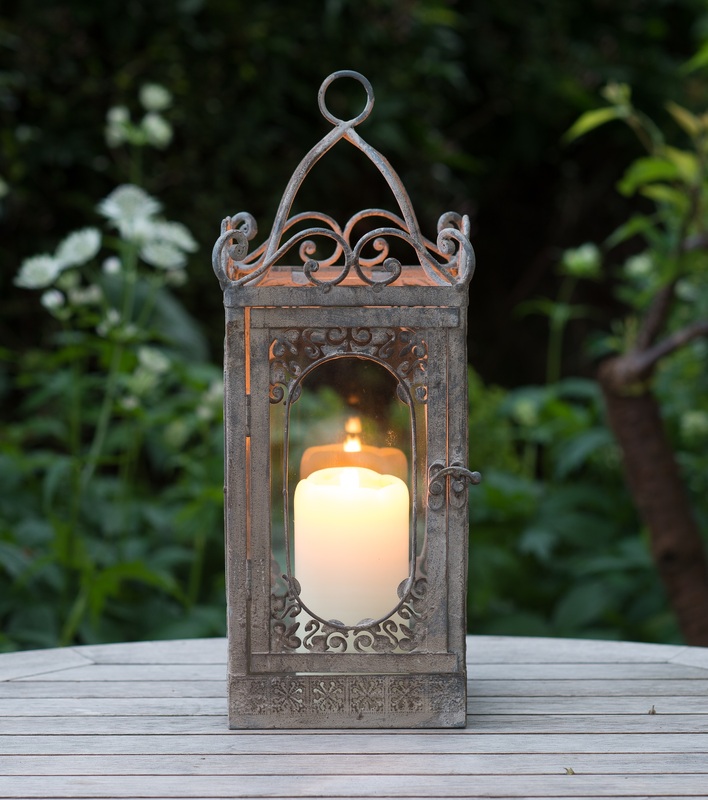 This ornate Italian style candle lantern is adorned with pretty decorative detail creating the feel of a true artisan, aged product. 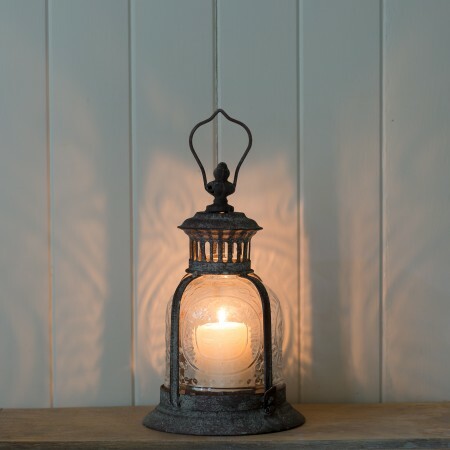 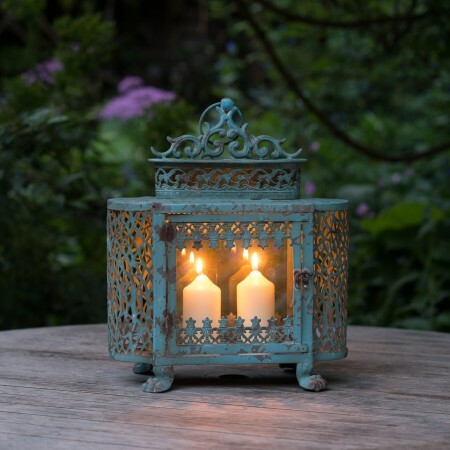 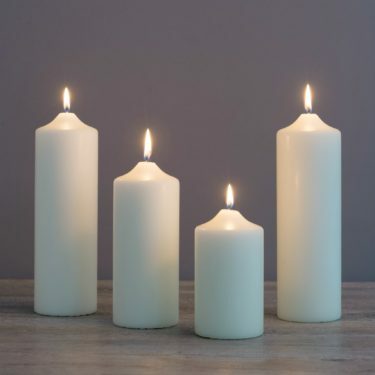 This unusual lantern looks stunning in the garden or in the home by the fireplace and the simple form with glass inserts create great light inside or out holding a good size candle. 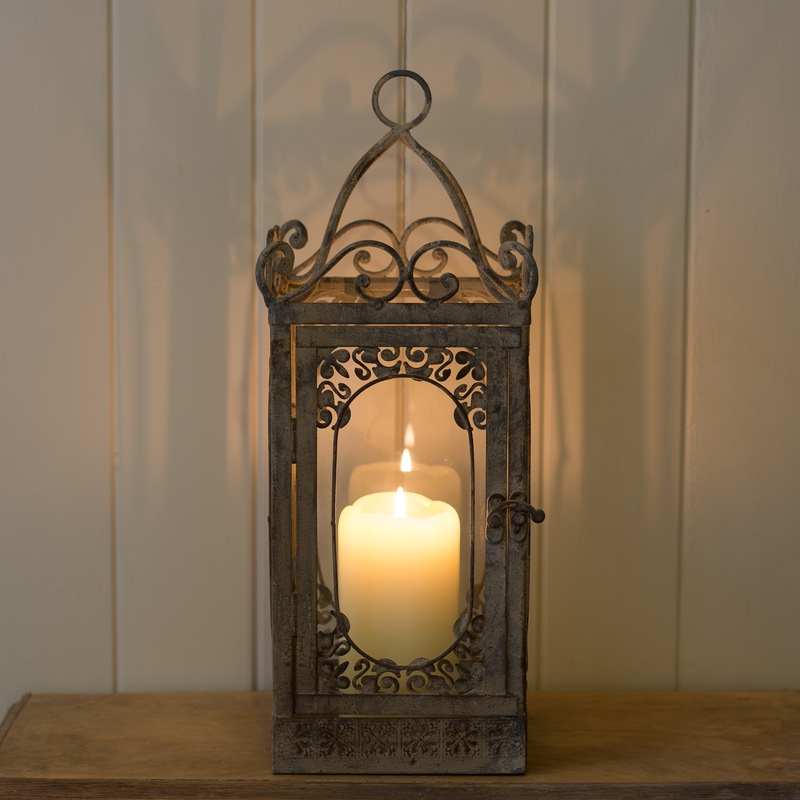 Antique style metal traditional lantern with glass inserts. 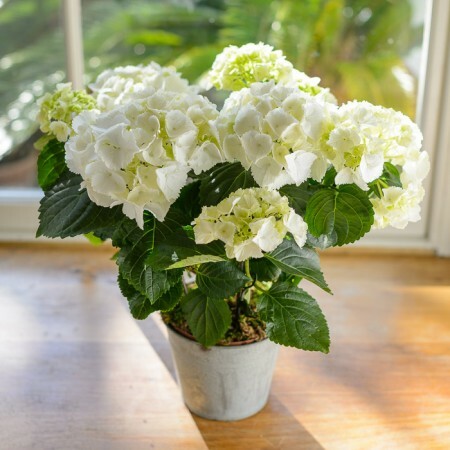 Height: 40cm approx. Diameter: 15cm approx.